First Novels Club: I Now Pronounce Thee... Incorrectly. lol! 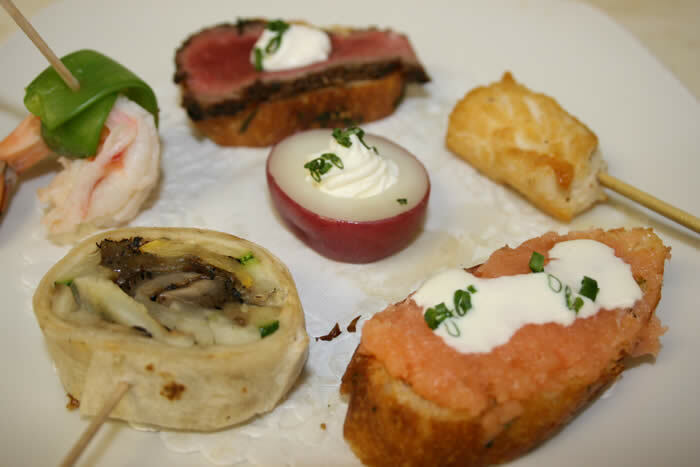 I love that you pronounced hors d'oeuvres EXACTLY the same way I always pronounced it growing up-- totally not connecting it with the word "ordurves" that I heard adults saying! I swear this is one reason I love Japanese. There is only one way to pronounce every letter! Love this topic-my word was "epitome" which I pronounced as "eh-pee-tome" rather than "ih-pit-uh-me" Now when I'm unsure, I look for it online-very helpful! So yeah, totally thought it was lin-gear-ee. OMG, ann foxlee, thanks for that revelation, because in the post, I was still like "isn't that how you're supposed to pronounce it?" lol. ordurves...huh. And I distinctly remember my brother pronounced (and he will swear to the grave that he did NOT) Hermione as "Her-mee-un". I swear! ahha, really good post. I STILL pronounce i whores d'voures. lmao. How funny that you too said Hermione's name wrong! It was tough, I should have thought to look it up and hear it pronounced but I took said it like (Des Moines, IA) but I lived in Des Moines so I suppose that's why I associated as I did! LOL! I used to pronounce Hermione the same way as you ( as well as hors d'ouvres). My mother STILL makes fun of me for pronouncing hotel suites as "sweeties." OH MY GOD guys, you totally reminded me of more I said incorrectly! Stephanie -- YES, except mine was "eh-pih-tome"
Audrey -- Don't worry, I had to keep reminding myself Aislinn was "Ash-lin" and the only way I realized it was because they called her "Ash" a few times. Jen -- At least your reason was more legit than mine! Ann, Holly, Beth -- I can't believe you guys pronounced hors d'oeuvres that way too! I never knew how to pronounce "queue" until I was in college. I always just kinda thought it was "kway" until my husband told me different. My brother-in-law takes the cake though. He's very, very smart, so we were all shocked to hear him call something very "po-ig-nant." Yeah. Poignant. Hilarious! I'm really bad for pronunciations. While doing my master's degree, I kept referring to mitochondria as mi-tro-chondria. Embrassing. It wasn't until the HP movies came out that I figured out how to say Hermione. In Circle of Friends, her name was "Maire" Carroll, and I called her "Marie." I still pronounce it that way in my head, no matter *what* my mother says...it just SOUNDS better, damn it. Hehehe... great post! My husband mispronounces the word "kiosk". He says "koi-sk" (like the fish? koi?). It took me forever to figure out what he was trying to say and even though I told him the right way to say it, he still says it wrong! So now I get to tease him relentlessly. Sara - Hehe epi-tome! And I still say "CON-tem-play-tive." Summer - I swear, queue was so random that I just didn't even guess at a pronunciation. And po-ig-nant makes sense, but I never made that mistake! Stina - Seriously, these comments are making me feel much better too! Anonymous (who is my sister) - Yeah, we called cerulean "sir-you-lean" for YEARS before we learned it was "sir-oo-lee-in." Mireyah - Stoik! I like it! Valerie - Hehe koisk is tease-worthy. Thanks! Funny post. My daughter has a few words like that, but the only one that comes to mind now is PINT. She pronounces it with a short vowel sound, pin with a t.
I pronounced Dumbledore wrong, and loads of other words that I forget now. I seriously had an identity crisis when I heard somebody pronounced "maturity" differently-- I still don't know which is better, though "muh-tuhr-ity" just sounds awkward to me. I'm with you on Hermione. However, I mentally pronounced it 'Her-me-o-nee' Must be the Italian in me. This is kind of a reverse (know how something is said but translating it wrong to written word) when I was a kid, I thought the expression was 'up and adam' Not 'up and at 'em'. For a long time (we're talking almost in college) I thought elite, was pronounce Ee-light. Oh my. its not a common thing for me, but sometimes I will have a total brain freeze with pronunciation. GREAT post! I'm so glad I'm not the only one who knowingly reads words we mispronounce in our heads. I know how to say these words out loud now, but when I'm reading them, I still "say" them wrong in my head. Miss-Cheef. ?? moe-noe-tony was monotony. 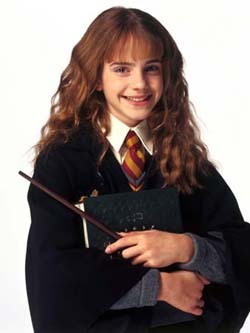 I pronounced Hermione as her-mee-on. I thought the name Sean was pronounced seen even though I had a picture of Sean Astin on my wall. The name Suellen I pronounced as sullen. There is a ton more I just can't think of them at the moment. Oh I have another one. It took me a long time to realize that the word chic could be pronounced as sheik and not just like chick until I saw shabby chic written down. Lol, everyone's comments reminded me of another-- not really mine, but my best friend's. She always calls Gyoza (gee-yo-za) "Goi-za". And then she looks at me and says, "I said it wrong again, didn't I?" And now on occasion I find myself saying Goi-za because we've laughed about it so many times! Elle - Aw that's a cute one! Aly - Lexiophilia - nice! Melissa - I thought it was Adam too, so you're not alone. Emilee - Haha that's too funny... I hate it when you look at a word for so long that it becomes completely foreign. Alison - Macabre! That's another one of mine. These comments are totally lengthening my list. Mary - Ditto with Sean. I thought a kid in my grade was spelling his name wrong! And chic too. Ann - Glad you came back, because these comments are hilarious. Hilarious post! I remember being teased mercilessly by my brother for pronouncing parfait as para-fat. And Pompeii as Pom-pee-eye. It gave me such a complex, I never would say any word unless I was SURE I knew how to pronounce it. Merriam Webster online now has sound files to help with this. Whew. Oh my gosh, the "whores devores" thing is hysterical becuz my husband did the same thing! He was reading a brochure aloud to me one time and he pronounced it like that with a quizzical look on his face. Then he looked at me and said, "what do you suppose those are?" I took French in high school and I busted out laughing for like a half hour straight. It's one of our favorite inside jokes to this date. Don't feel bad, I was the same way with Hermoine! And I always thought Sean was pronounced "See-un" instead of "Shawn"! omg i love this post. i'll join the club on the whores d'vores. i can't tell you how many times in high school i had to be corrected on pronunciation.. quite embarrassing. ps is it weird that i always know it's donna writing even before i see her name at the bottom? Laurel - Yes, parfait was awful to pronounce. Lisa-Marie - Hahaha apparently NO ONE said Hermione correctly! Alyssa - You just made my day with that comment! What writer doesn't hope and pray for a distinctive style? Whores d'vores for life! Donna, just like Alyssa, I always recognize your posts too. And this is a fun one. I learned to read so early that I stumbled over words I'd never heard pronounced. I'm still teased by my family decades later for my mispronunciations. I said DEN-ee instead of deny, ad-MY-ral instead of admiral, in-DICKED instead of in-dite for the word indict (I defy anyone to pronounce that one correctly when coming across the word for the first time). And here's a conundrum: if chic=sheek, then why doesn't clique=cleek? I've never been sure how to pronounce either word! Jenn-ay - Yep, I've had that too. Sometimes it's so hard to know where the emphasis is on a word. Joanne - YES to all. I initially pronounced clique "cleek." I think we're SUPPOSED to say it like that, but people just always say "click" and it's become the social norm. Or maybe I just hate being wrong. I was introduced to HP late (post 3rd or 4th book, pre first movie), and even before reading the first book, I was suspicious of my mom when she told me about the girl named "Hermy-own." I thought, surely that is NOT how that name is pronounced. When I saw the first movie, I thought, "Ha! I KNEW it!" And even though I would have remained confused without the help of the movie, I credit familiarity with Shakespeare and ancient Greek names for making me suspicious in the first place. In second grade, I loved a little picture book about cows who went to Chicago, but I had no idea what Chicago was. I knew about the city in Illinois (silent S! ), but that was shi-CAH-go. This book was about a different place, CHICK-ago. Also, my husband sometimes calls Massachusetts "Ma-sa-two-sits." He got it from his dad. It makes me groan, until I remember that I used to pronounce the extra C in Connecticut. Ah, the South. I was in the DMV line getting my liscence renewed when I saw a license plate displayed on the wall which had Yosemite written on it and I out loud (real loud) to my husband said, Why would someone want "Yoz Might" on their license. After laughing his head off at me for like an hour. In line. He explained to me that it was read Yo sem it ee. The Place! I always knew there was such a place but I never knew that's what it looked like spelled. Oh, and my sister growing up would drive me insane because when we would be eating cereal in the morning she would always read the "nuurtrin" facts on the box. (we only ate one kind of cereal)Not like they were going to change from morning to morning. So looking back why she had to read them out loud to me I don't know but case in point is she pronounced it nuurtrin and I kept telling her she was missing some letters in there. she vowed that's the way it was pronounced. I was younger but one day I grew up, went to school myself and figured out thatit was nutrition and I had in fact a complete moron for a sister. The end. Hawaii(Hah Wah I), Georgia (Gee org I Ah), Arkansas (Are Kansas), Oregon (Ore Gee On), Illinois (Ill ino is), Wyoming (Wee Om Ing), Missouri(Misery), And the only reason I didn't mispronounce Nebraska is because I lived there...although it took me forever to figure out that Aksarben (the ball park that the College World Series used to be played in) was Nebraska spelled backward.